Ever since hearing Slight‘s Run (an online single that would go on to top this site’s odds and ends of 2014 list), they’ve been easy to pin down in the “favorite bands” category. 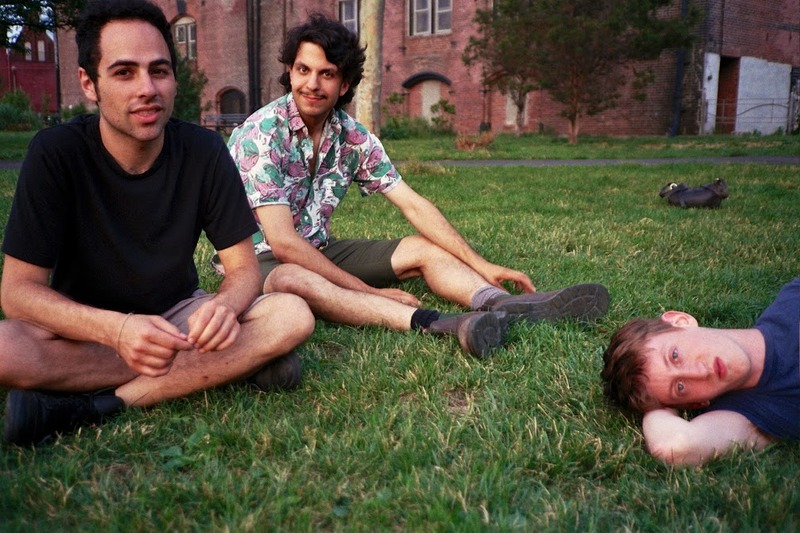 While the respective successes of Painted Zeros, LVL UP, and Normal Person have kept its members occupied in 2015, the trio’s managed to find a way to keep pushing forward. Tomorrow, they’ll be releasing their Hate the Summer EP (which includes both songs from Run) in conjunction with their show at Palisades, which will also feature sets from Museum of Recycling, Normal Person, and The Glow. In advance of the show (and the release), the band’s allowing everyone a look ahead with the EP’s title track. “Hate the Summer” is another basement pop triumph, expertly balancing a clear-eyed conviction with a determined grit that elevates the song well past the levels that most bands who attempt that feat achieve. Surging with a punk bite but grounded by Jim Hill’s enviable gift for pop songwriting, “Hate the Summer” comes across as both immediate and accessible without ever sounding or feeling hollow. While the vocal and guitar hooks abound, the song’s kept anchored by the characteristically impressive rhythm section work laid down by Alberto Casadevall and Greg Rutkin, who provide the song with a remarkable amount of drive. Hard-hitting and heavy-hearted, the song’s eventually defined by its resilience in the face of a detached weariness. It’s nuanced, it’s effective, and it’s one of the finest songs to have found release in the past several months. By the time the bridge kicks in, it’s clear that Slight’s members haven’t placed this project on the back burner and are intent to push it forward with all the strength they can manage. We’re just fortunate enough to be along for the ride. Listen to “Hate the Summer” below and keep an eye on this site for any upcoming news about the band.